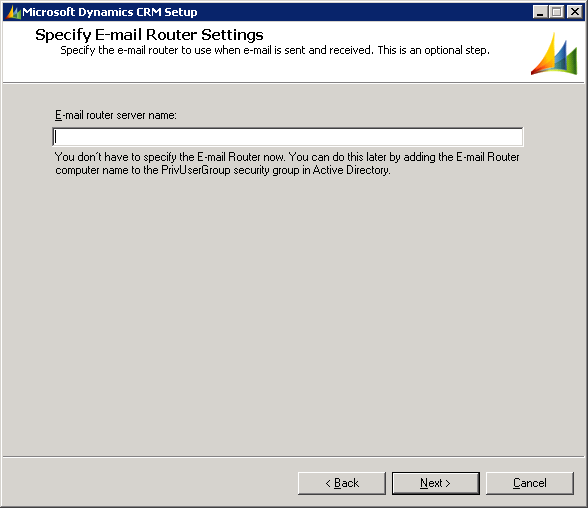 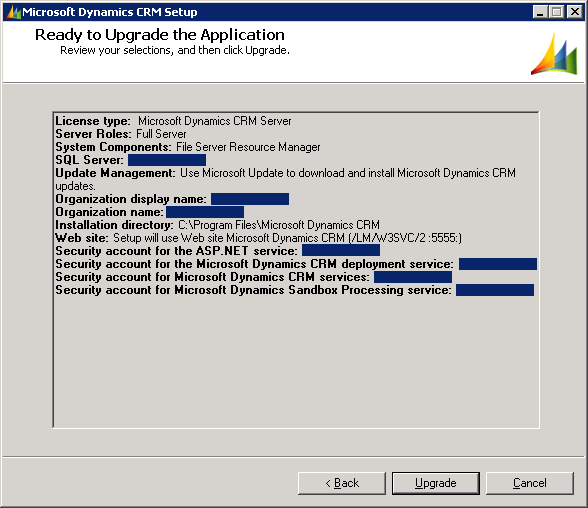 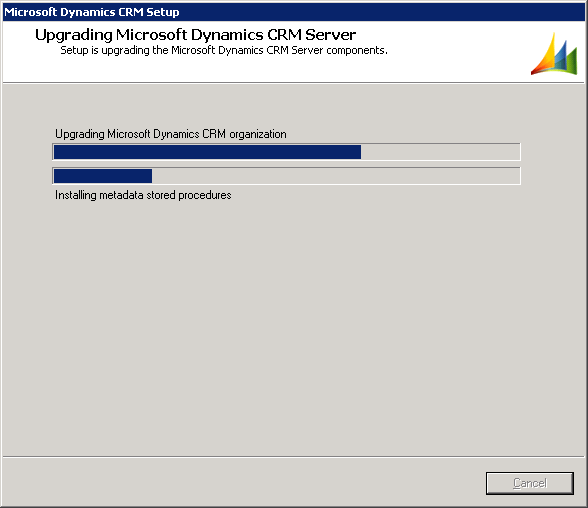 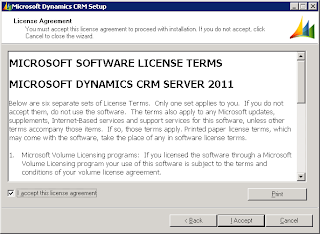 This is an in-place upgrade of a Microsoft Dynamics CRM 4.0 to 2011. 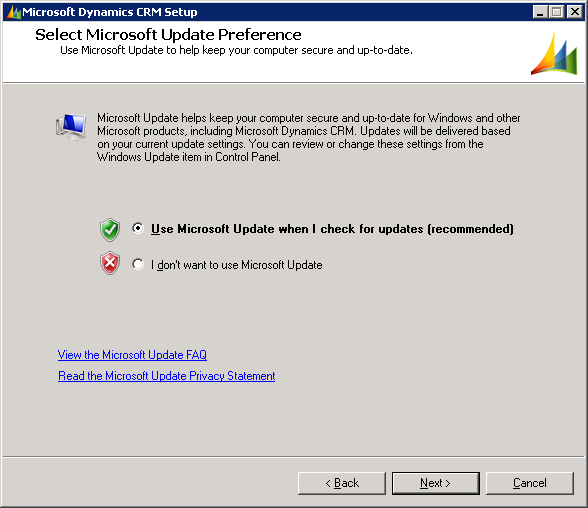 Please note that an in-place is the riskiest upgrade, if something went wrong there is no going back! You will have to resort to DR and restore everything again. 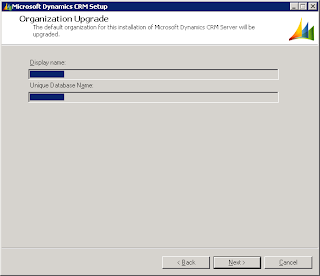 But also it is the simplest and least-costly upgrade. 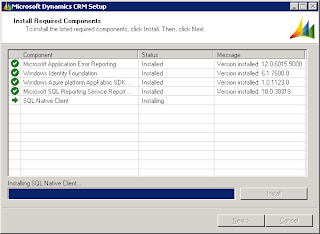 If you have a heavily customized CRM and prefer a safer downtime-free approach, you can install CRM 2011 on a new server then use the deployment manager to upgrade a copy of your CRM 4 database via the "Import Organization" wizard. 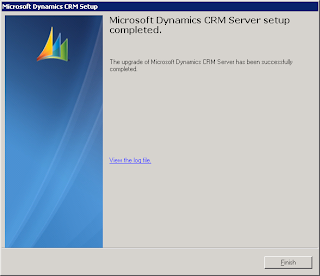 That way you can keep your CRM 4 up and untouched during the whole upgrade process, then switch to the new CRM 2011 installation once you have tested and became happy with it. 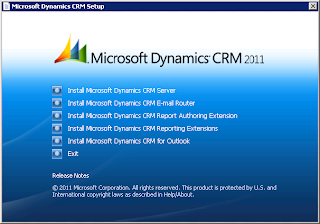 If in-place is fine with you and your current CRM environment meets the minimum requirements for CRM 2011, then first proceed by - typically - taking a backup, make sure you have a backup of your database, web, reports and any customizations you have done to the CRM. 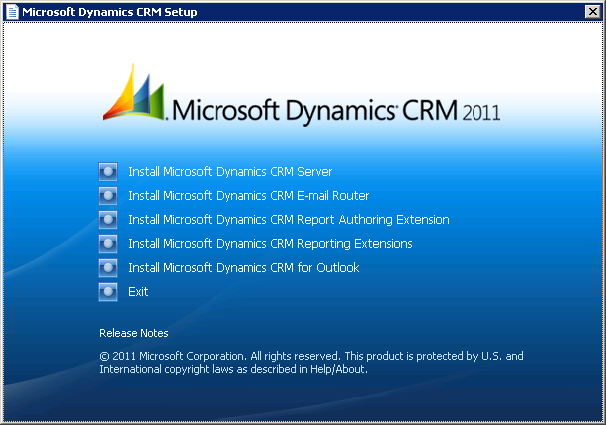 Choose the first option "Install Microsoft Dynamics CRM Server". 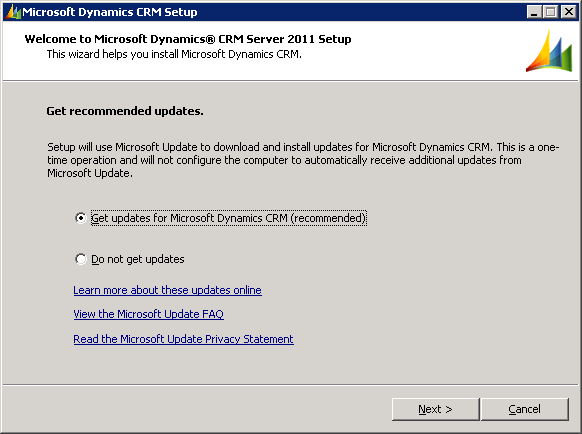 If you have internet access choose the recommended get updates option. 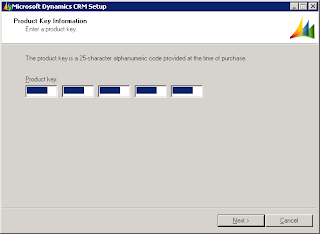 Type in your product key. 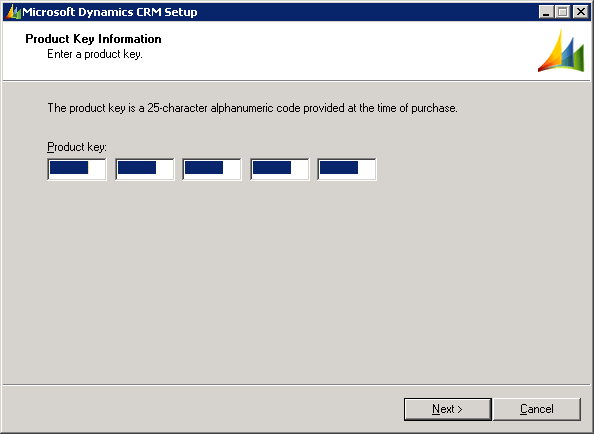 Use this one for a 90-day trial MQM2H-JYYRB-RRD6J-8WBBC-CVBD3. 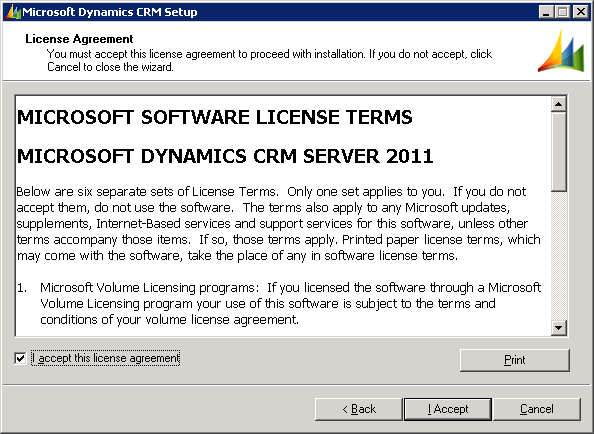 Click to accept the license agreement. 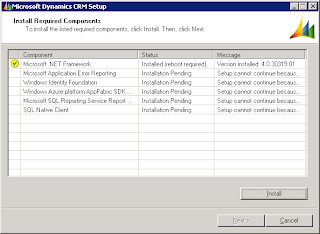 Setup will ask to install any missing required components, some might require to restart your server. 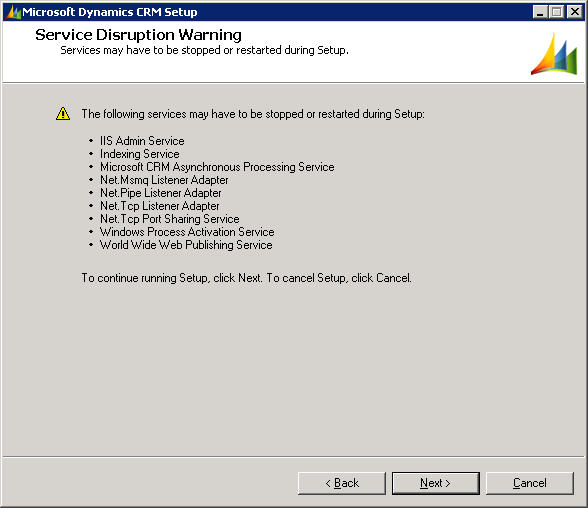 Restart if required then run the setup again. 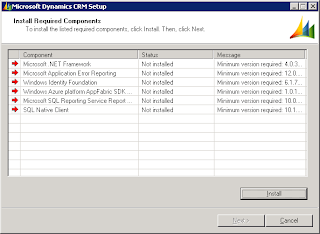 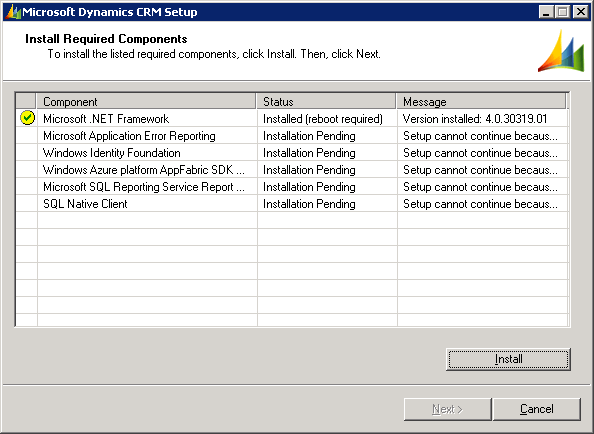 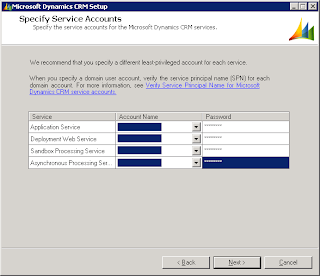 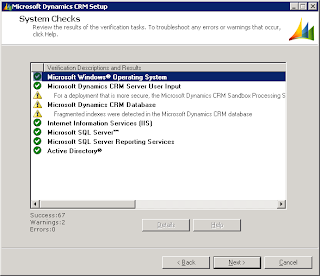 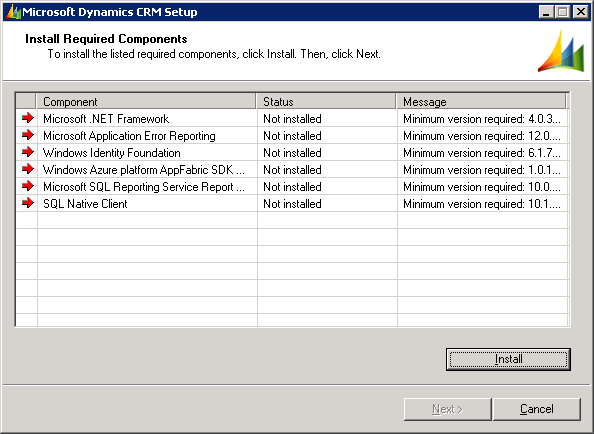 After all required components are installed, setup will detect the currently installed CRM and prompt for upgrade. 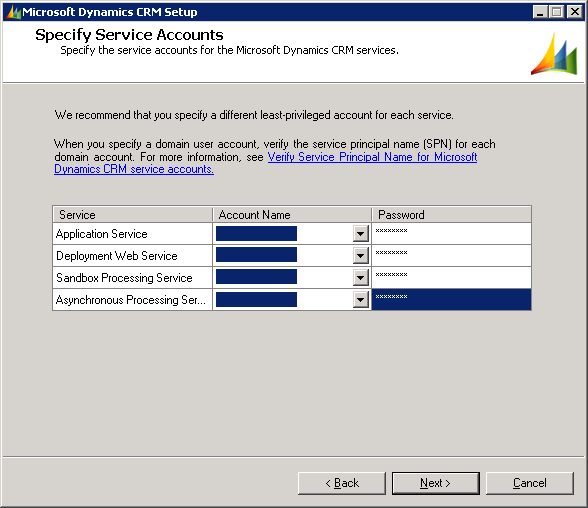 Enter the user accounts for CRM services, if you don't use a dedicated account for the Sandbox Processing Service, you will receive a security warning later. 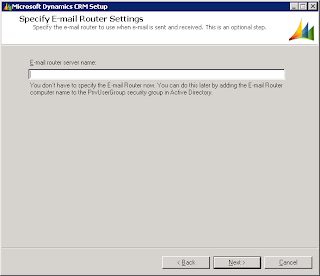 Enter your SMTP server, it has to be a domain member. 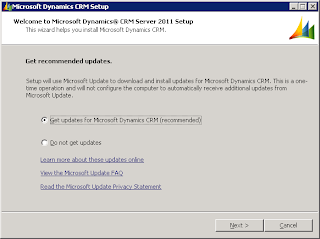 Setup will detect the current CRM organization database and prompt to upgrade. Choose to use Microsoft Update if desired. 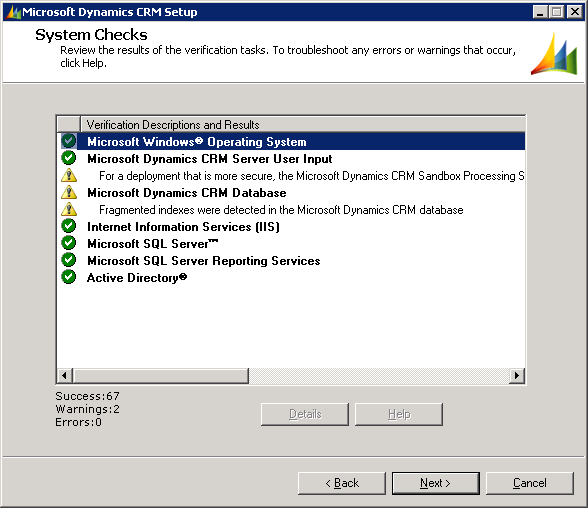 Setup will run some checks before upgrading, if you receive any errors you will have to resolve them before proceeding. 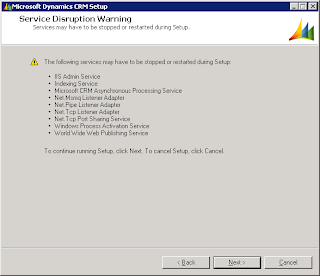 Setup will list the services that need to be restarted during upgrade. 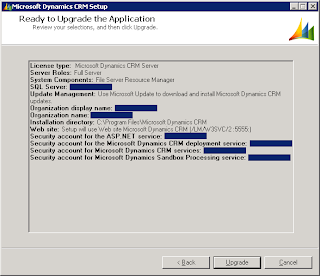 Review the final summary before starting to upgrading. 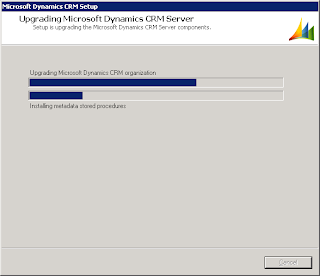 Up till this point no changes have been made yet to your system (other than installing the required components), this is the last chance to change your mind. Setup will upgrade the current web server as well as the database organization on the SQL Server. 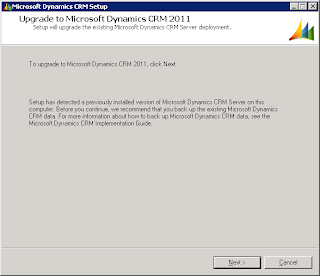 If all goes well you will get a successfull confirmation of the upgrade. Proceed to upgrade the rest of your web servers.